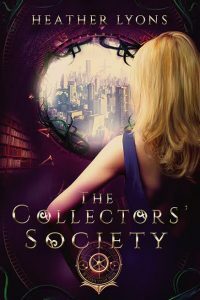 Coming on October 23rd is the newest novel from Heather Lyons, The Collectors’ Society, a strikingly unique fantastical romantic adventure about Alice and her cherished Wonderland. It’s a riveting story unlike anything you’ve seen before and I’m thrilled to share the first chapter of the book with you today! 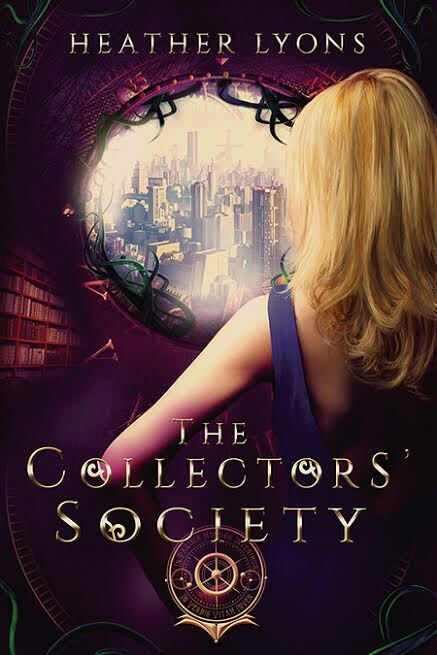 This is the first book in the Collectors’ Society series. The ceiling above me is a mysterious map of cracks and chipped paint, nearly undecipherable in origins or destinations. Voids unsettle me, though, so night after night, as I stare up at it, tracing the moonbeams that flit in between hills and valleys, I assign them my own designations. There, that bump? It’s Gibraltar. That chunk? The Himalayas. The deep groove near the Southeast corner of the room? The Great Wall of China. The smooth patch nearly dead center is the Pleasance Asylum, which is vastly amusing to me. I shy away from the splattering of flakes in the Northwest quadrant, though. Those ones, whose ridges grow on nearly a daily basis, are far too easy to decipher. I made the mistake of telling Dr. Featheringstone this during a fit of delirium, and he’s not forgotten it. In fact, he’s asked me about them again, just now, and he’s waiting patiently for my answer. I keep my eyes on his face rather than in the area he’s quizzing me about. It taunts me though, just over his left shoulder. “Why shouldn’t I be? Word games are silly and are best left for children or the elderly who seek to hold onto their wit.” The muscle inside my chest works in overtime as I tell him this. He’s heard my ravings, and knows my struggles. Neither of us mention where I’d been before here, or what I’d seen and done and experienced. Featheringstone sighs, his face transforming into a look I could sketch from memory; it’s given so often to me when I offer up an answer he doesn’t like. I call it Disappointed Featheringstone. A thin smile surfaces. That’s the problem. I’ve had a taste of freedom, true freedom, and I’m loathe to accept anything other than such. I have many years of experiences behind me, too. It’s my turn to give him a patented look, the one he affectionately calls Unamused Alice. Unamused Alice transitions to Curmudgeonly Alice. 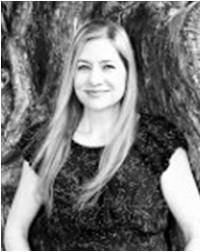 Featheringstone stands up, glancing up at my past before shuffling over to pat me on my shoulder. He is a nice man, whose intentions for his wards are sincere. It’s for this I both appreciate and resent him. An old schoolmate of my father’s, he was selected upon my return sorely for this purpose. Too many horror stories about hellish asylums and nefarious doctors rage about England, but my father knew his friend would treat me with kid gloves. While the Pleasance may be physically showing its age, it’s amongst the most sought after when it comes to those in the upper class due to its gentle hand and discreet employees. Sometimes I wish my father hadn’t been so kind. It might have been easier had he thrown me into one of the hellholes, where I could have gotten lost amongst the insane. Mandatory strolls are required of all patients at the Pleasance, as Dr. Featheringstone believes, “Fresh air is the tonic to many ails.” At first, I was resistant to such outings, preferring to stay in my snug room with the door closed, but after several tours with the good doctor and a team of nurses and orderlies, I determined he perhaps had a point. There is a nice pond that is home to a family of ducks, a small grove of trees, and a handful of boring, quiet gardens that house no red roses after the good doctor had requested them removed. Worn dirt paths lined with benches connect the Pleasance’s outdoor pleasures, and one can experience everything in as little as a half hour. We patients are never left to our own devices during these Fresh Air Hours, though. Nurses and orderlies mingle amongst the residents, setting up tables for games of checkers, chess, or croquet, although I naturally recuse myself from such frivolity. Half a year in, and I am still a stranger to most of the folk here. That was by my choice; many of the residents did their best to welcome me into the fold, but I was determined to keep my distance out of early fear of spies. There is nowhere you could go in which we could not find you, little bird. I think his name is Edward, but it could easily be Edwin, too. Or perhaps even Edmund. A mere incline of the head is given, but I highly doubt my bitterly voiced suggestion means anything to him. The staff here is the epitome of propriety. “That’s it?” I ask once the paper is refolded. The crunch of twigs informs me of his retreat, allowing me to reclaim my solitude. The ducks long gone, I spend my time perfecting the tufts of grass and reeds growing at water’s edge on today’s landscape. I focus harder, my charcoal furiously scraping across the paper until I remember I don’t want to do anything furiously. Not anymore, at least. I close my eyes, focusing on the red and orange kaleidoscopes that dance across my lids. The paper in my hand crumples as easily as my heart. I leave it behind on the bench when I make my way back inside, because I’m positive there was an H etched into it. And to think that Featheringstone is convinced I’m sane. I haven’t been sane in over six years.